This is Part II of our interview with Ryan Caroll. If you haven’t already heard Episode 27, don’t yet listen to this show because it won’t make as much sense. So based on a quick Google search, it turns out that Ryan is not officially the World’s Youngest Grandpa, as that title is held by a 23 year old from Australia. Bummer news. Editor’s Note: Once again, you’ll hear some light pounding in the background of this recording. If you’re ever looking for where to record a podcast…try not to do it next to a concrete testing facility. Today’s episode is the first of a two-part interview with Ryan Caroll. Ryan is one of the owners of TopBox Solutions in San Antonio, where he and his wife (Cory) raised Cory’s son, Cole. Ryan shares with us his experiences of growing up in a step-parent family and then later being the step-parent. Tim Erhardt is a therapist who specializes in clients that have experienced trauma, most often PTSD. In this interview, we dive deep into the causes of PTSD, how these symptoms may show up in a family dynamic, and (most importantly) how to get help. Tim lives in San Antonio, TX with his wife and their three kids. He has a practice in San Antonio for local clients and is also available for teleconferencing anywhere in the world. This is an interview with serial entrepreneur, Jeff Cohn. Jeff has 3 kids and owns the #1 real estate team in Nebraska. Check out this episode to get an idea of how parenting has worked for Jeff, especially in the juggling act of trying to maintain his business ventures. If you want to learn more about Jeff, check out his real estate page, his Team Building podcast, and his promising dance career. Seamus here: This is a bummer of an episode. I have to tap out of the podcast game. I took on a new position at my company that is a great opportunity, but it came with a schedule change that just isn’t going to allow me to record with Troy anymore. Troy and I talked about it, and I’m excited to know that he wants to keep the show going. I really think that parenting from the perspective of dads is an important topic that isn’t talked about enough. It is not to suggest that moms aren’t equally (or more!) important – we just can’t ignore the dad factor. 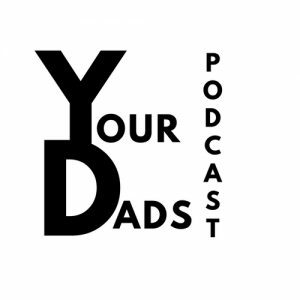 @36cof_ – which is a podcast called 36 Chambers of Fatherhood – I really enjoy listening to these guys, and I always appreciated one of them, @old_head_wylin who I know was listening to our episodes. I know there are more, but these are the ones that stick out who either helped us get started on the social side and/or helped us keep going. And they’re funny! I do have to make a shout out to my parents too. Aside from showing me how to be a good parent from day one and all that stuff, they are loyal listeners. I could record a whole episode of myself running the garbage disposal, and my mom would tell me that she could tell I did a great job disposing the heck out of some garbage. And podcasts aren’t really my dad’s thing, but he listened to this one. Which I appreciate. Even if it was on 2x while he was driving the tractor! I’ll still be listening to the show and I hope y’all will too. I will also try to record with Troy once in a while too. I also have a special episode I want to record with my wife some day. So stay on the lookout. Thanks for the support! According the the American Pet Products Association, 84.6 million homes, or 68% of all households in the U.S. have pets. Troy and Seamus have been part of that statistic. Listen to this episode to learn about how they have blended pet parenting with kid parenting. Parenting can be challenging enough – adding a dog in the mix can make it that much more of a project. Troy and Seamus sit down with Jay Acker, who has two daughters – one in high school and one in college – and as Troy points out, this is Seamus in about 15 years. The discussion covers all kinds of things that are specific to raising girls, but also covers some of the general things about raising teenagers.